IT Consulting Services - MathThinking Technologies, Inc. If one theme runs true throughout MathThinking's consulting dossier, it is the ability to deliver critical business functionality on time with appropriate technologies. We serve businesses, large and small, in the background and over the Cloud, eliminating the roadblocks, and making the wheels turn. MathThinking consultants have a knack for blending into client organizations. Our goal is to leave for home every evening with the satisfaction that we contributed to an improving situation. We are there to make your organization thrive. This attitude goes a long way toward maintaining our welcome. 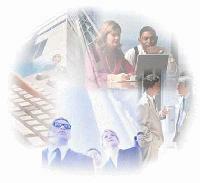 Our software consultants are experts in all phases of full lifecycle methodologies. This includes system architecture, requirements analysis, design, development, testing, performance tuning, and production deployment. MathThinking supports the analysis, selection, installation, testing, configuration, and management of open-source and commercial off-the-shelf (COTS) applications. Our software engineers and database administrators know how to build and manage enterprise-class systems to ensure that your operation runs smoothly.